This entry was posted in Canada Canada Immigration canada immigration Visa and tagged Canada Canada Job Bank Canada PR Immigraation Visa on October 19, 2015 by Blog Author. The government of Canada is changing its immigration system in order to provide more employment opportunities for the overseas skilled migrants. The CIC Canada has brought in a new method of immigration known as Express Entry system, which is very much advantageous for the skilled workers, those whose are enthusiastic to settle down in Canada. The Express Entry system is a computerized application management system. The candidates who are wishing to work in Canada can apply through this system they can create a profile and can submit their applications for the permanent residence PR. How to Create an Express Entry Profile? When they have an employment offer from the employer. Or when they get registered with Canada job bank. 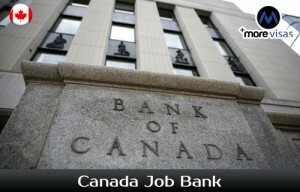 What is Canada Job Bank? The Express Entry system of Canada has coordinated with the Canada job bank in order to help the overseas candidates to immigrate into the country. The main purpose of this program is to advance the process to bring in the enthusiastic and interested candidates more quickly into the country. This bank will provide the necessary information regarding the required job and also helps the employer to quickly contact the right candidate for their job requirement. To make your Express Entry profile complete the desired candidate should get register with this job bank in order to have a valid job offer and a nomination from a territory or province of this country. This Canada job bank will let you stay connected with the employers and job updates in this country based on your experience or skills. The candidate should get registered for this within 30 days after creating the Express Entry profile.